10 Great Books is now fully subscribed for 2019. To see our other upcoming programs, and to subscribe to our mailing list for early notification of future Community Education programs, please visit the main Community Education Short Courses and Masterclasses web page. The Faculty of Arts Proudly presents the book club to end all book clubs, 10 Great Books, a Melbourne Masterclass. Each month, from February to November, hear leading academics and experts give their take on a text that has shaped the way we see the world. After enjoying a glass of wine, you can then join the lively discussion and share your views. We ask the big questions about how our selected books captured the zeitgeist and shifted the culture. The ten diverse texts will become our window into politics, art, love, death, and everything in between. Now in its sixth year, 10 Great Books has traversed the broad history of the written word, exploring great novels, non-fiction, plays, poetry, pamphlets and more. Participants also have the opportunity to encounter the materiality of the texts themselves through rare book editions from the University’s Baillieu Library, displayed during each masterclass. 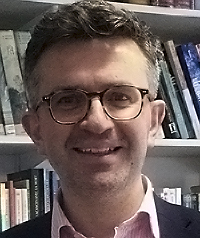 Associate Professor Tim Lynch, creator and convener of 10 Great Books, will introduce you to our speakers each month and help guide discussion and argument. "If the purpose of a university education is to study the best that has been thought and said, then 10 Great Books will take that education into the public sphere. Our speakers marry both great expertise in and passion for their chosen text. The results are compelling." Faculty of Arts Community Education programs provide a unique opportunity to delve into a particular subject, learn about it from expert presenters, and debate its biggest questions with a room full of like minds. Our Melbourne Masterclass programs are all about vibrant conversation and debate. They offer the chance to hear world-renowned academics and industry experts talk about their intellectual obsessions and share ideas that might just transform the way you read great books, watch great films, and look at great works of art. Freed from a more course-like structure, we can traverse a wider range of fascinating topics under a common theme. Melbourne Masterclasses are non-accredited. Please note: All sessions run Tuesdays, 6.30pm-8.30pm. Individual session tickets are not available for this program as it is designed to be enjoyed as a series. Prices are GST inclusive. *University of Melbourne alumni, staff and students. Each year, the Faculty of Arts partners with Readings bookstore to create an online booklist where you can easily purchase copies of our chosen texts. To access the 10 Great Books 2019 online booklist, please visit the Readings website. Please note: One of our books this year, Barron Field's First Fruits of Australian Poetry, is a rare text that is currently out of print. For this reason, we will focus on some select extracts from the text. These will be circulated to registrants prior to the April session. In the meantime, to view some of Barron Field's poems and a short biography, you can visit the Australian Poetry Library website. The Forum Theatre, situated in the Faculty of Arts' new teaching facility Arts West, is an intimate lecture theatre seating 150. Its in-the-round layout and state-of-the-art acoustics are specifically designed to facilitate discussion and interaction between audience and speaker. The novella The Little Prince (Le Petit Prince) is one of the most loved books ever published. Often voted the best book of the twentieth century in France, it has been translated into approximately 300 languages. It sells nearly two million copies annually, and has total sales of over 140 million copies worldwide. Although ostensibly a children's book about a visitor to earth from an asteroid, The Little Prince makes profound observations about life and appeals to all ages. The novella has been adapted to numerous art forms and media, and has iconic status in France and elsewhere. Its author, Antoine de Saint-Exupéry, is equally intriguing. From an aristocratic family, he became a pioneering aviator, working on airmail routes in Europe, Africa and South America. After the outbreak of the Second World War, he escaped to North America, where he wrote The Little Prince. We will explore the novella's observations and the links with the author's life. In 1944 Saint-Exupéry joined the Free French Air Force in North Africa. He disappeared over the Mediterranean on a reconnaissance mission, and is believed to have died at that time, aged 44. Peter McPhee was appointed to a Personal Chair in History at the University of Melbourne in 1993. 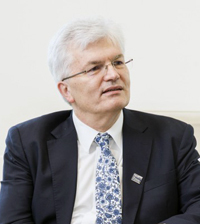 He was appointed to the position of Deputy Vice-Chancellor (Academic) in 2003 before becoming the University's first Provost in 2007-09, with particular responsibility for the design and implementation of the University's new curriculum structures. He is a Fellow of both the Australian Academy of the Humanities and the Academy of Social Sciences. He became a Member of the Order of Australia in 2012. Peter has published widely on the history of modern France, most recently Robespierre: a Revolutionary Life (Yale University Press, 2012); and Liberty or Death: the French Revolution (Yale University Press, 2016). He also wrote a biography of a Chancellor of the University, R.D. ('Pansy') Wright. Although formally retired, Peter continues to teach history to undergraduates, and a Massive Open Online Course (MOOC). Malory's Morte Darthur (1469-70) is a pivotal text in English Arthurian literature. It comes late in the medieval tradition, but is deeply influential on the English texts that follow, especially Tennyson's Idylls of the King and The Lady of Shalott, and T. H. White's The Once and Future King, itself the basis for both the Disney film The Sword in the Stone, and the Lerner and Lowe musical Camelot. Malory is nostalgic for the lost glory of the Arthurian world and struggles to reconcile the impossible chivalric love triangle between Arthur, Guenevere and Lancelot. As the text progresses, his characters become more complex psychologically, and the ethical issues around love and loyalty become almost impossible to resolve, leading to the deep personal ruptures that break up the fellowship of the Arthurian Round Table. Stephanie Trigg is Redmond Barry Distinguished Professor of English Literature at The University of Melbourne. She is a specialist in late medieval English literature, especially Chaucer. Her books include Congenial Souls: Reading Chaucer from Medieval to Postmodern (2002), Shame and Honor: A Vulgar History of the Order of the Garter (2012); and Affective Medievalism: Love, Abjection and Discontent (2018, co-written with Thomas A. Prendergast). From 2011-2018 she was a Chief Investigator, Program Leader and Node Leader with the ARC Centre of Excellence for the History of Emotions. She convenes several discussion groups on medieval language and literature and also leads the Objects and Emotions research network. ‘Poor Fellow My Country is an Australian classic, perhaps THE Australian classic.’ Winner of the Miles Franklin award in 1975, Poor Fellow My Country is supreme storytelling, an epic in the fullest sense. In this masterclass we will assess how far Herbert’s greatest text constitutes the decisive story of how Australia threw away her chance of becoming a true commonwealth. We will debate the complex mixture of race, land, and politics that make this book so enduringly controversial. 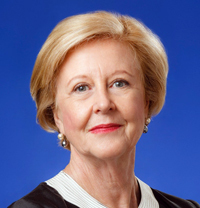 Gillian Triggs is the former President of the Australian Human Rights Commission, and currently a Vice Chancellor’s Fellow at the University of Melbourne. 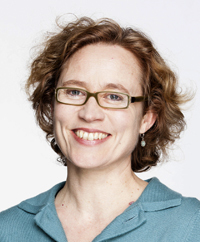 Gillian was Dean of the Faculty of Law and Challis Professor of International Law at the University of Sydney from 2007-12, and Director of the British Institute of International and Comparative Law from 2005-07. She is a former barrister and a Governor of the College of Law. She graduated in Law from the University of Melbourne in 1968 and gained a PhD in 1982. "To account for, and excuse the tyranny of man, many ingenious arguments have been brought forward to prove that the two sexes, in the acquirement of virtue, ought to aim at attaining a very different character; or, to speak explicitly, women are not allowed to have sufficient strength of mind to acquire what really deserves the name of virtue." - Wollstonecraft, A Vindication of the Rights of Woman. Mary Wollstonecraft's A Vindication of the Rights of Woman, published in 1792, is a classic, pioneering work of early feminism (a term that didn't even exist at the time) shaped by Enlightenment ideas that, radically, she related to women. As this session will explore, her arguments regarding women's nature, and their role in society, continue to resonate in our contemporary political and scientific debates. 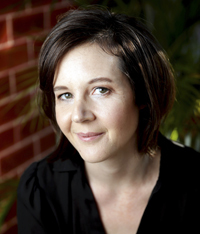 Cordelia Fine is a Professor in the School of Historical and Philosophical Studies at The University of Melbourne. She is the author of A Mind of Its Own, Delusions of Gender and Testosterone Rex, which won the Royal Society Science Book Prize 2017. Cordelia Fine has also written for major scientific and news outlets, including Science, The Lancet, Scientific American, New York Times, Guardian, and Financial Times. This year she was awarded the Edinburgh Medal, a prestigious annual award that recognises scientists who have excelled in their field and have contributed significantly to our understanding and wellbeing of humanity. The medal was awarded for her work challenging societal gender stereotypes and making a valuable contribution to ongoing efforts to close the gender gap. She is also this year's recipient of the Woodward Medal in Humanities and Social Sciences. 2019 will see another Australian bicentenary, the 200th anniversary of the first book of poetry published in this country. The book was titled First Fruits of Australian Poetry, and was written by a man with the odd name of Barron Field. Although Field is hardly known today, he was Judge of the Supreme Court of New South Wales, an important figure in the colony at a time when the acts of individuals could have disproportionate effects. What makes Field's disregarded and rather strange production a 'great' book? It is not its quality, but its impact that matters here: in 1819, the very year that he published this book, Field also had a tax dispute with Governor Macquarie. The decision Field made is now regarded as the first formal declaration of the doctrine of Terra Nullius in this country. This talk will discuss the fateful encounter of law and literature in Barron Field's book. 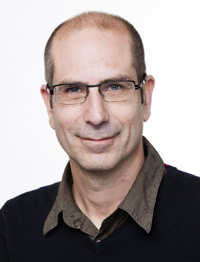 Justin Clemens is an Associate Professor in the School of Culture and Communication at The University of Melbourne. He gained his PhD from The University of Melbourne. He has published extensively on Australian art and literature, psychoanalysis, and European philosophy. His recent books include the collections What is Education? (Edinburgh UP 2017) and Badiou and His Interlocutors (Bloomsbury 2018), both edited with A.J. Bartlett. He was founding Secretary of the Lacan Circle of Melbourne (2004-2009), and the art critic for the Australian magazine The Monthly (2004-2009). In addition to his scholarly work, he is well-known nationally as a commentator on Australian art and literature, and his essays and reviews have appeared in The Age, The Australian, The Monthly, Meanjin, Overland, Arena Magazine, TEXT, Un Magazine, Discipline, The Sydney Review of Books, and many others. A serial text comprising 17 cantos, Don Juan was first published in London between 1819 and 1824, while its author, Lord Byron, was exiled in Italy. The poem was enthusiastically celebrated and vilified, parodied and pirated. Why? This masterclass will consider Byron's mixed-genre masterpiece as the ur-text and primal event of modern literary scandal and experimentation. We will revisit Don Juan's original moment of production to investigate the sensation it caused when it first appeared, when its publisher, John Murray, compared it in pre-publicity to the arrival of a meteor. With much of the experimentation we think of as "now," Don Juan was already there: creating "truth in masquerade" through spectacularly unreliable narrators, performing the public intimacies of celebrity culture, and refusing to observe appropriate boundaries between the authorial life and the work. These vital enchantments that so compelled Don Juan's readers back then continue to resonate now. 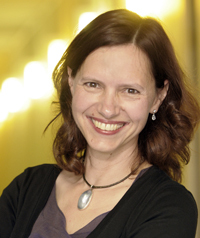 Clara Tuite is Professor of English at The University of Melbourne, where she teaches and researches literary Romanticism, and is a Chief Investigator with the Faculty of Arts Enlightenment, Romanticism and Contemporary Culture research unit. Her work as a literary historian focuses on early nineteenth-century literature and its historical, cultural, and social contexts and ongoing reception. She is the author of Romantic Austen: Sexual Politics and the Literary Canon (Cambridge University Press, 2002). Her second monograph, Lord Byron and Scandalous Celebrity (CUP, 2015), was awarded the Elma Dangerfield Prize of the International Association of Byron Societies. Her edited collection of essays Lord Byron in Context is forthcoming from Cambridge University Press in 2019. The writings of Jeannie Gunn, a schoolteacher who spent one year living on a cattle station in the Northern Territory in 1902, have been with us for over a century. During that time, they have fundamentally shaped many white Australians' understandings of race relations on the Australian 'frontier'. First published in 1908, We of the Never Never is a problematic text. It contains racist language and chilling depictions of frontier violence. This uncomfortable history is evident in the many different abridgements undertaken by various publishers over the years. What do we do with a book like this in 2019? Is there value in its firsthand account of this unique time and place? Should we treat it as an historical text and forgive it of the casual racism that was of its time? Could this book be a pathway to a decolonised Australia? Or should it be forgotten? 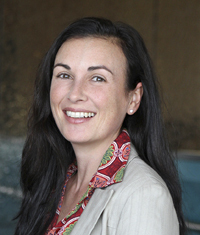 Kat Ellinghaus is an Associate Professor of History at La Trobe University, where she researches and teaches Indigenous histories. She is the author of Taking Assimilation to Heart: Marriages of White Women and Indigenous Men in the United States and Australia, 1887-1937 (University of Nebraska Press, 2006) and Blood Will Tell: Native Americans and Assimilation Policy (University of Nebraska Press, 2017). In 2015 she won the Western Historical Association's Joan Jensen and Darlis Miller Award for the Best Article in the Field of Gender and Women's History in the North American West. Kat writes and researches in the areas of settler colonial history, transnational and comparative history, assimilation policies and the social and cultural history of the United States and Australia. In 1992 two former students of Ormond College lodged a complaint with Victoria Police alleging sexual harassment by the then Master. The subsequent court cases caught the interest of author Helen Garner, herself an Ormond student in the 1960s. Though the women declined to talk with Garner, she began investigating the case. The result was The First Stone, published in 1995. The book tells both the story and the author's journey - through the text Garner agonises about her reactions to the events and reflects on feminism, sexual dynamics and choices made by the women. The First Stone attracted heated debate on release, and remains a much discussed text in a world where sexual harassment remains ever persistent. This Great Books session is a chance to consider an important work by one of Australia’s finest writers, and to trace those strong responses the story evokes. 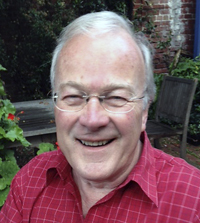 Glyn Davis holds appointments as Professor of Political Science at ANU, The University of Melbourne, and Oxford. From January 2005 until September 2018, he served as Vice-Chancellor of the University of Melbourne. His recent publications include The Australian Idea of a University (2017) and The Republic of Learning (Boyer lectures, ABC Books, 2010). Letters Concerning the English Nation is a book of its time - one of the most important works of the European Enlightenment - and a book for our own times, inviting us, as it did its first readers, to weigh up different ideas, cultures, religions and political systems, and thereby subjecting our own comfortable views of the world and of ourselves to powerful critical scrutiny. Inspired by Voltaire's two-year stay in England (1726-28), the Letters appeared first in English, then in French. Addressed deliberately to different audiences simultaneously, the text appears initially to be a kind of a travelogue, recounting a Frenchman's visit to England, but quickly morphs into something more far-reaching and more unsettling, playing off against each other different systems of thought, with Voltaire's trademark irony enabling the kind of radical critique that we now commonly associate with the Enlightenment. This is a landmark text that both stages and prompts debate and dialogue; one might even say that it’s the best of all possible texts for a Great Books masterclass. Russell Goulbourne is incoming Dean of the Faculty of Arts and Professor of French Literature at The University of Melbourne. He has published widely on Voltaire and is part of the editorial team responsible for bringing to fruition the first modern critical edition of The Complete Works of Voltaire, published by the Voltaire Foundation at the University of Oxford. Democracy in America is the most important book ever written about the United States. Alexis de Tocqueville was only 29 when he toured America - an adventure that nearly killed him. He came home to France to write a remarkable book (published in two-parts, in 1835 and 1840) which continues to inform our understanding of the most powerful nation in world history. Democracy remains especially relevant in the Trump era. Our masterclass will consider how the book came to be written, what it tells us about the United States, and whether Tocqueville’s hopes and fears for democracy have been realised. 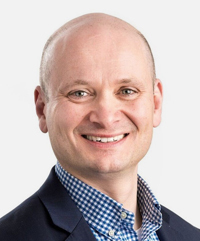 Tim Lynch is Associate Professor in American Politics in the School of Social and Political Sciences at The University of Melbourne. Tim specialises in the history, politics and ideology of American foreign policy. His books include Turf War: the Clinton Administration and Northern Ireland (Ashgate, 2004) and US Foreign Policy and Democracy Promotion (Routledge, 2013). His co-authored book (with RS Singh), After Bush: The Case for Continuity in American Foreign Policy (Cambridge, 2008), won the Richard Neustadt Book Prize and became a best-selling international security text. He is editor of the two-volume Oxford Encyclopedia of American Military and Diplomatic History (2013). He is currently writing a Cambridge history of post-Cold War US foreign policy. Tim was Director of the Graduate School of Humanities and Social Sciences at Melbourne from 2013-2017. In this role, he oversaw the largest expansion in graduate student recruitment in the Faculty’s history. He is creator and convenor of the 10 Great Books Melbourne Masterclass.